This book comprehensively covers a broad range of therapeutic and diagnostic applications of nanotechnology, providing descriptions of cutting-edge discoveries along with historical perspectives. 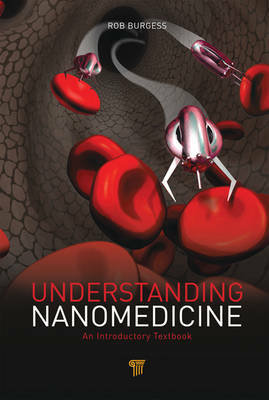 The text focuses on nanomaterials and nanoparticles, the sectors that hold the most promise for the future of medicine. The author look at how nanotechnology can impact cancer treatment, clinical neuroscience, tissue engineering, drug delivery, and diagnostics. He also discusses the worldwide governmental regulatory impact on nanomedicine. Artificial Intelligence and "the Singularity"
Rob Burgess is a scientist, entrepreneur, businessman, and author who switched scientific disciplines in 2006 at the age of 38 to take a chance on nanotechnology. It changed his life forever. He has held numerous academic and industry-related positions, including research fellow at the University of California, San Diego; founding scientist at Lexicon Genetics Incorporated; founder and president at Genome Biosciences Incorporated; vice president, research and development, at Zyvex Corporation; and vice president, business development, at Stem Cell Sciences, LLC. He is currently founder, chairman, and president at Medical Nanotechnologies Incorporated and an adjunct professor in the Department of Molecular and Cell Biology at the University of Texas, Dallas. He holds a bachelor of arts in biochemistry from the University of Texas, Austin, and a Ph.D. in molecular biology from the University of Texas M.D. Anderson Cancer Center, Houston.